The underwater search for the missing Malaysia Airlines flight MH370 resumed on MAy 22 with the redeployment of the U.S. Navy-owned robotic ROV Bluefin-21 which will spend six days searching the remaining areas in the vicinity of the acoustic signals detected in early April by the Towed Pinger Locator deployed from the "Ocean Shield". The operation resumed at 2 a.m. LT when the "Ocean Shield" returned to the Indian Ocean search zone. 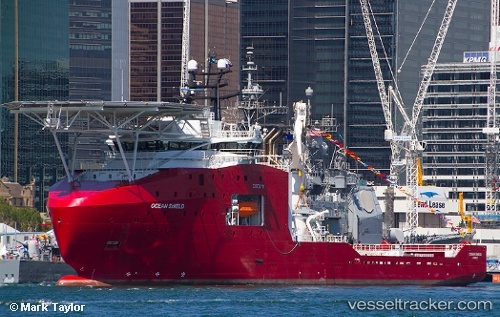 The "Ocean Shield" was anticipated to depart the search area on May 28 and return to Fleet Base West on May 31 where it will demobilise the Autonomous Underwater Vehicle equipment and disembark the support team. The Chinese survey ship "Zhu Kezhen" meanwhile was heading to the zone to begin mapping the ocean floor. Its bathymetric survey was being done in preparation for a commercially contracted deep ocean search for the wreckage. The drone searching for the missing Malaysia Airlines Flight 370 and the "Ocean Shield" towing it both have defective transponders. The transponders mounted to the U.S. Navy drone Bluefin-21 and the Australian defense vessel have hardware defects that hinder the ability of the two devices to communicate with each other. As a consequence, spare parts for both defects were to be dispatched from the United Kingdom and expected to arrive in Australia on May 18. The "Ocean Shield" on May 15 was heading to Dampier to receive the transponder parts. The Bluefin-21 had been recalled on May 14 after suffering communications problems just hours after it was deployed.